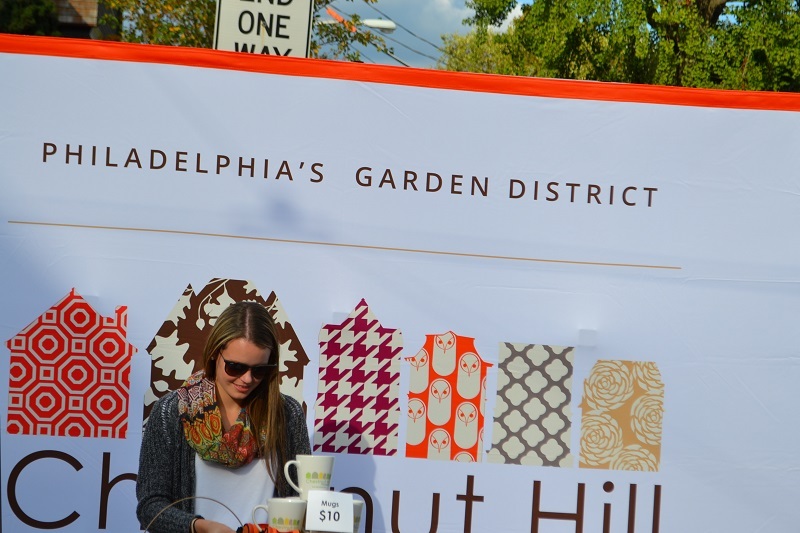 A half hour northwest of Center City, the neighborhood of Chestnut Hill is what some might call a “bedroom suburb” of Philadelphia, although it has a Philadelphia zip code. 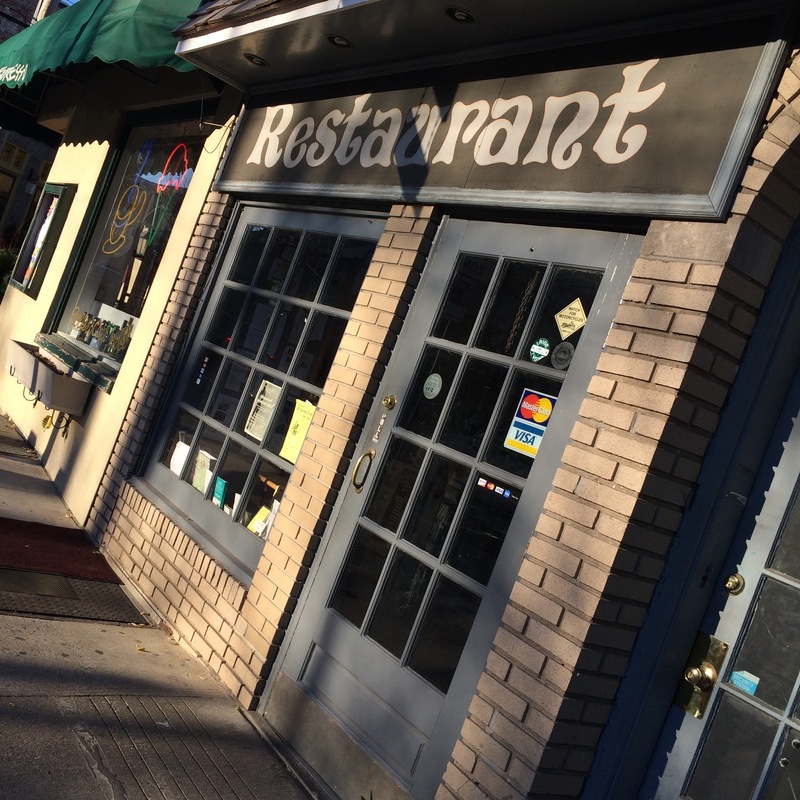 I’ve lived in Chestnut Hill for all of five months, and have walked up and down its main thoroughfare — Germantown Avenue — countless times. More often than not, I’m accompanied by my Boxer companion, Baby Girl. The two of us window shop (or at least I do), feel the sun on our faces, breath in the fresh air, and smile at other passers-by. 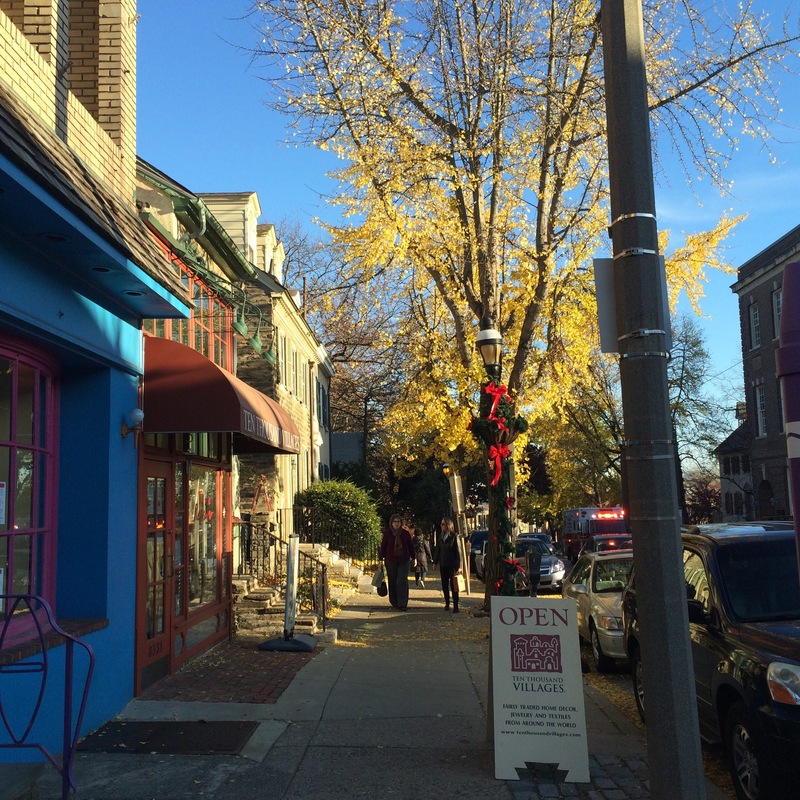 Chestnut Hill has the charm of a quaint European village, and nearly all of the same accoutrements: art galleries, bakeries, cafes, boutiques, a school, a church, a co-op market, and even a hotel lining either side of historic Germantown Avenue. 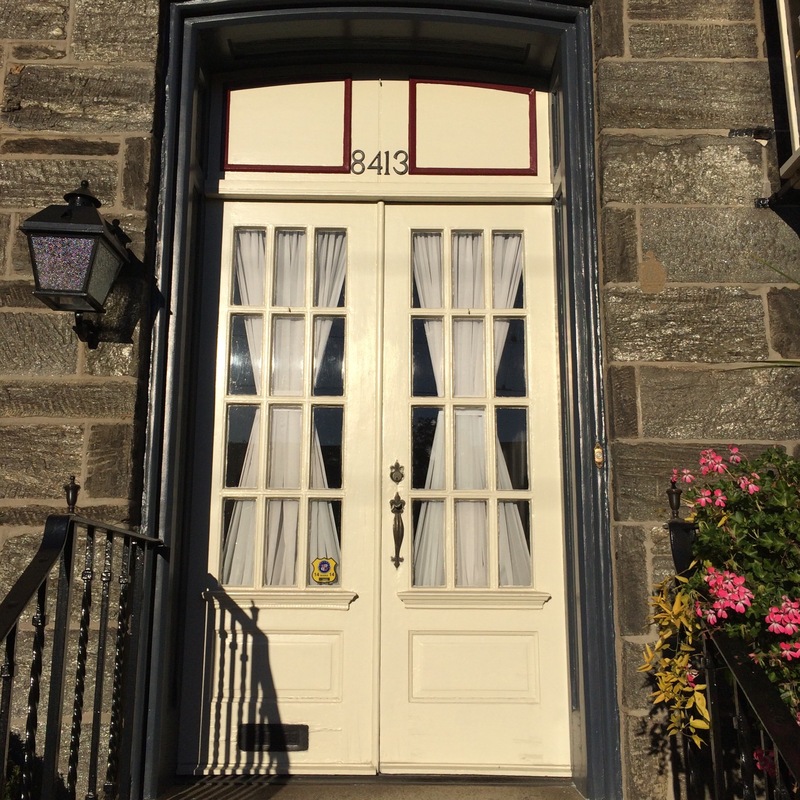 Today I present you with a few snapshots of the neighborhood I’ve grown to love. 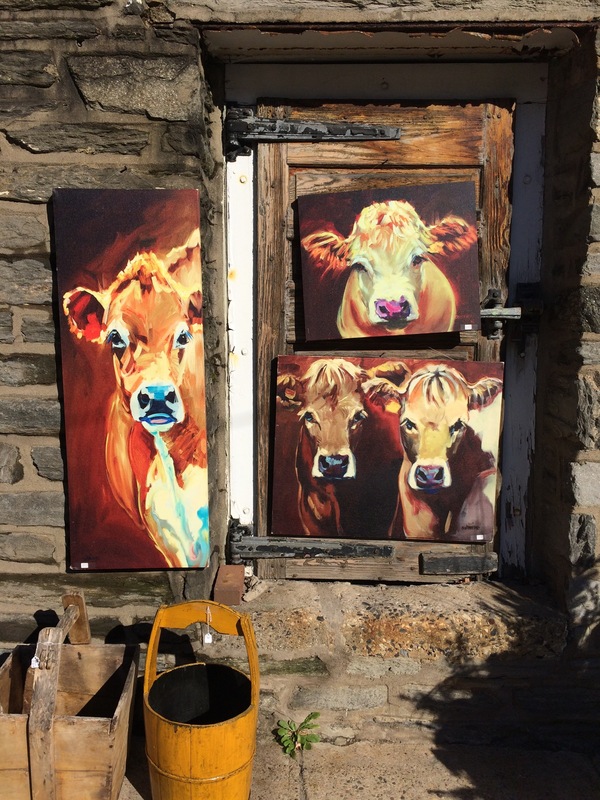 On sunny days such as today, one can find these paintings adorning the storefront of Lavender Hill Home, a boutique that sells art, gifts, furnishings, and jewelry. Every time I pass them, I’m charmed by these artistic renderings of cows. Fiesta III Pizza is aesthetically pleasing and (so I hear) a treasure trove for the tastebuds. 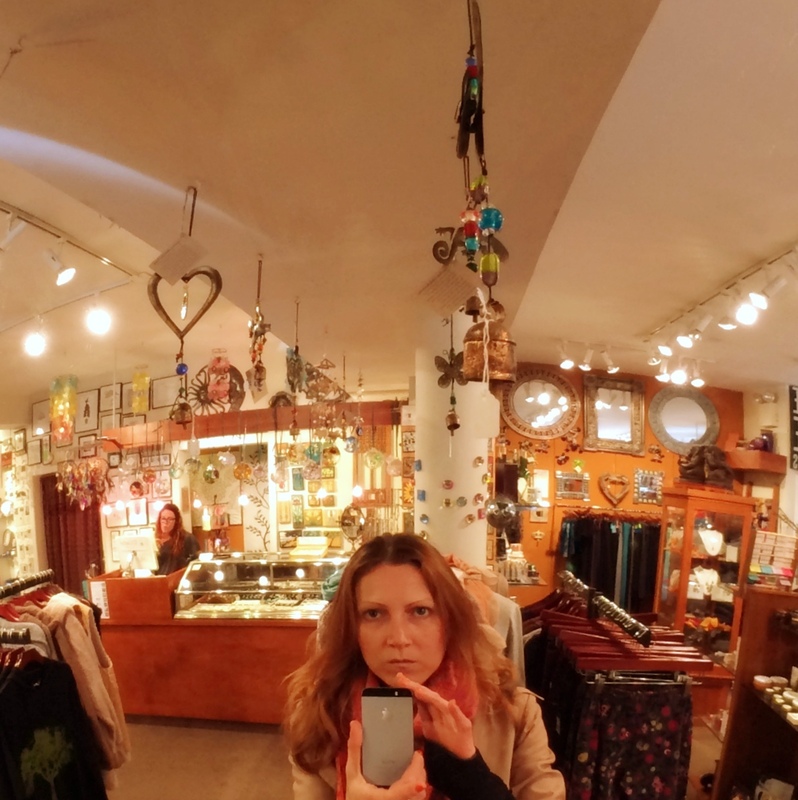 Here I am — sans make-up, new iPhone in tow — inside of El Quetzal, a local gift shop and clothing boutique. 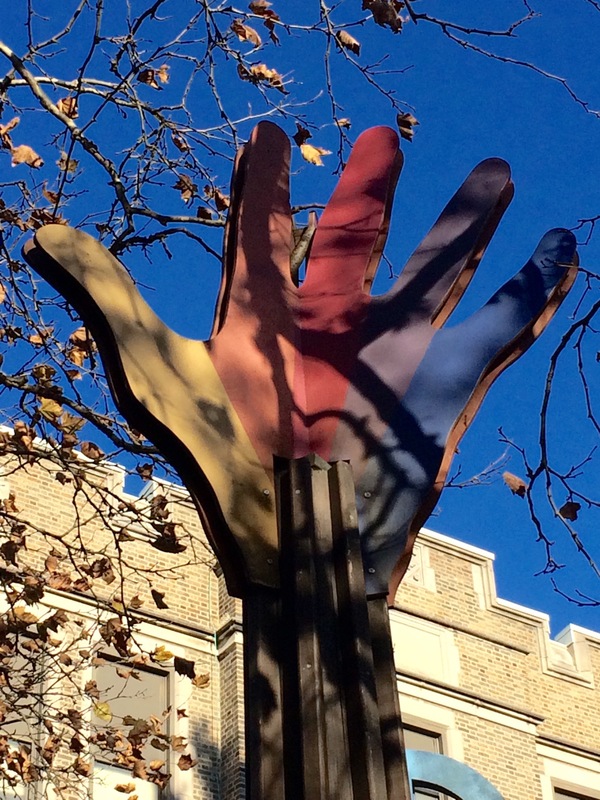 A sculpture of an outstretched palm towers over a local playground. 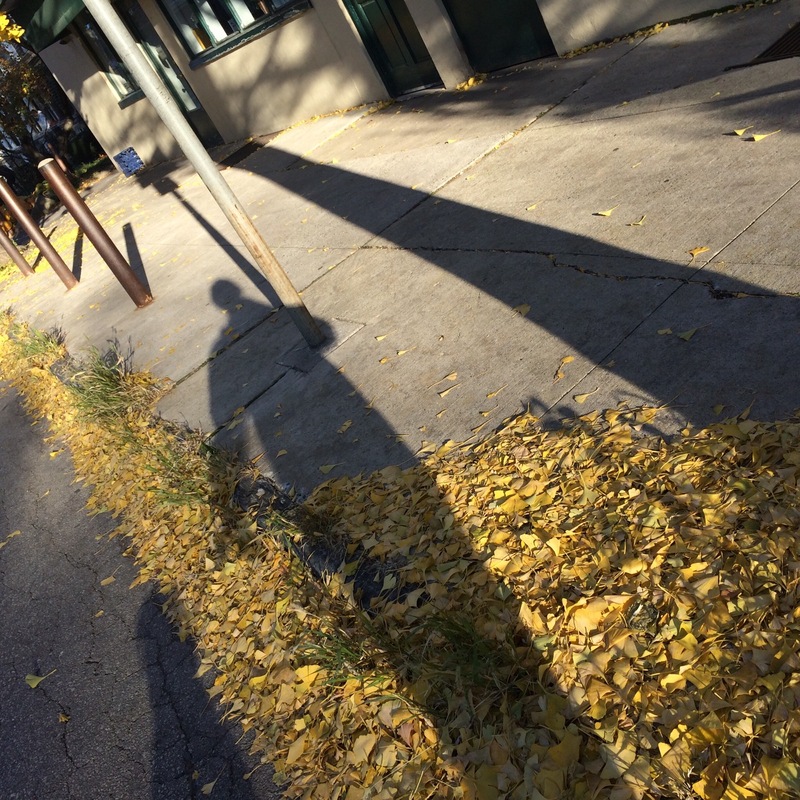 I love the way the afternoon shadows of nearby trees almost resemble veins. 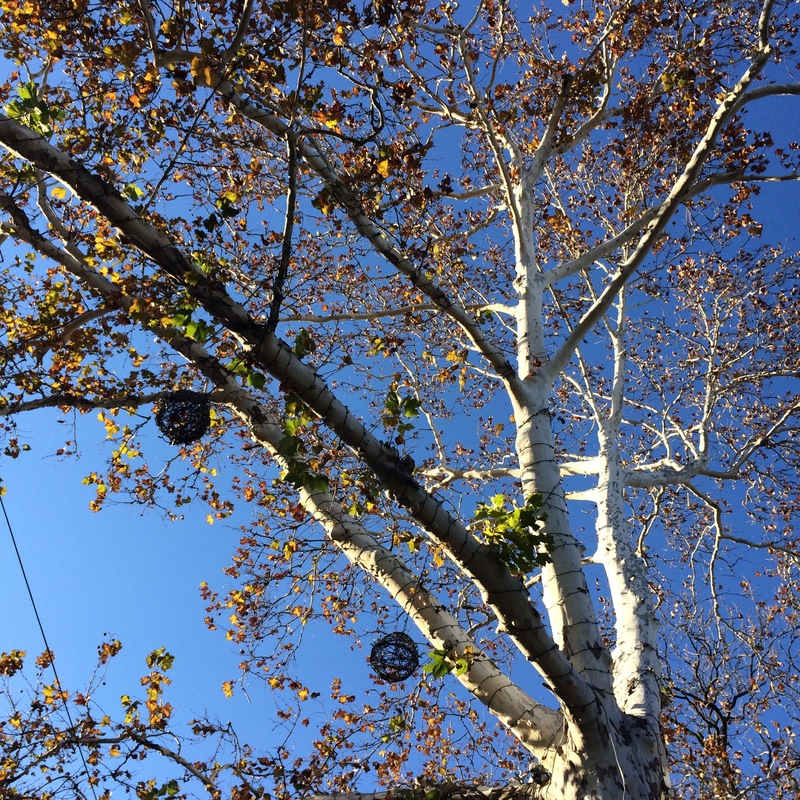 Like the outstretched palm, these birch trees lining Germantown Avenue seem to reach for the heavens. I pass Bredenbeck’s Bakery at least once a day. 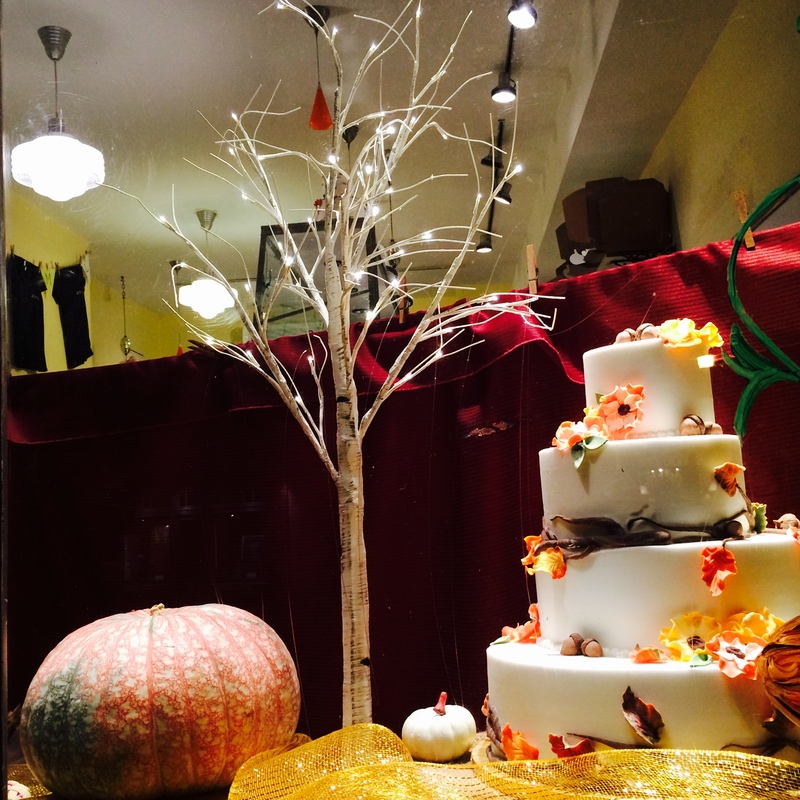 Their window displays are worthy of note, and the smells wafting through the air surrounding their location are to die for. Afternoon shadows grow long. The air is chilly, so Baby Girl and I pick up the pace as we approach what locals call “the top of the hill,” also the epicenter of the neigbhorhood. Looking south on Germantown Avenue. 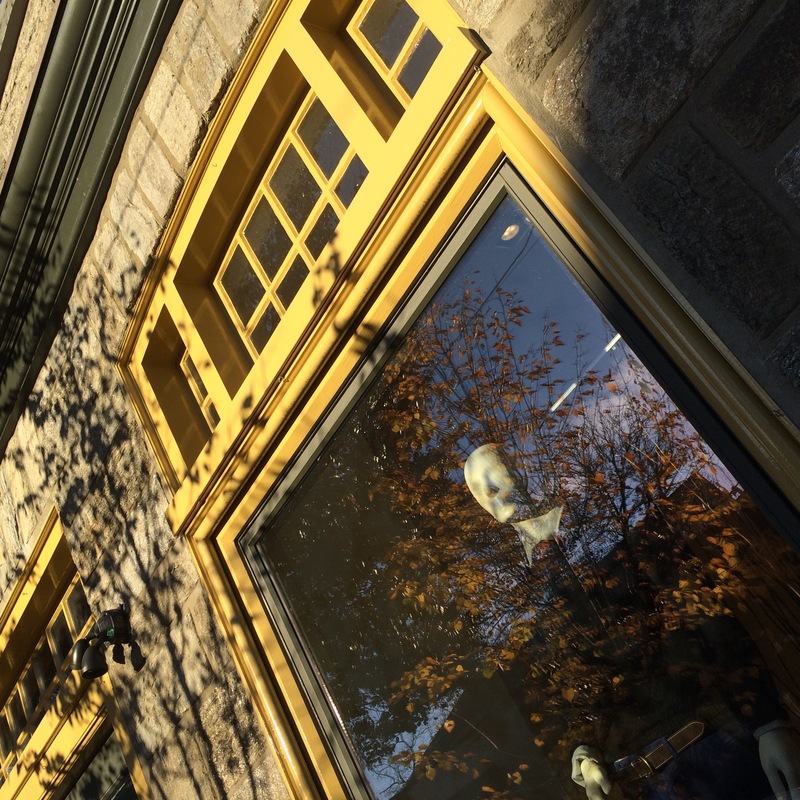 In this photo, a mannequin appears to stare through the windows of a J.McLaughlin store overlooking Germantown Avenue. And here he is again, closer up this time. 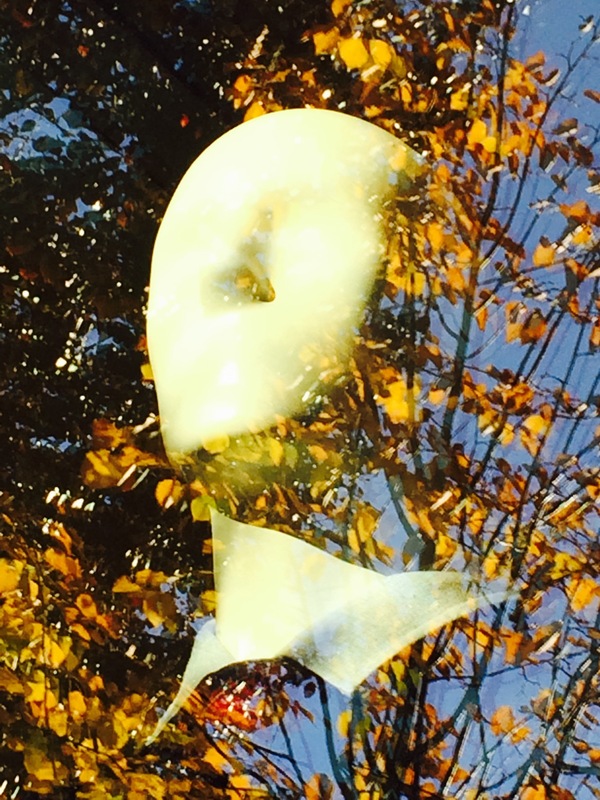 Trees in full autumn blush reflect off the glass store windows, creating a surreal effect. 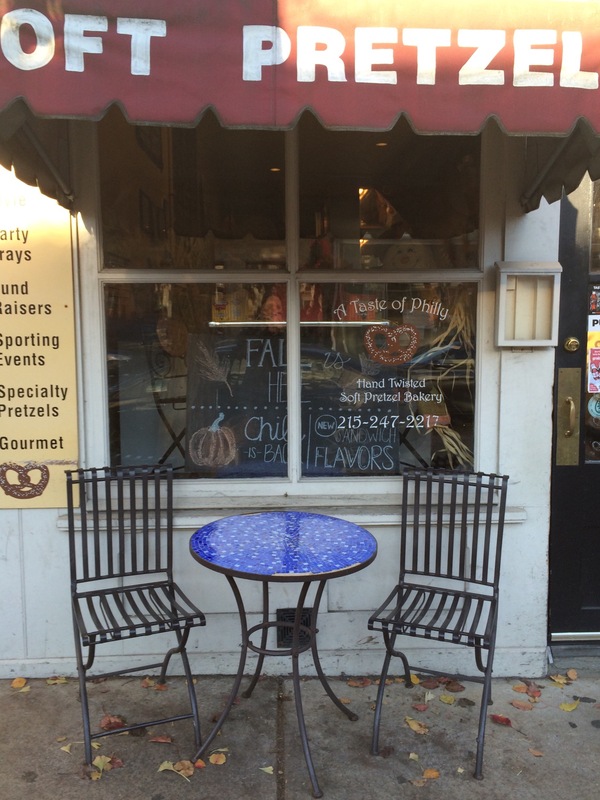 It wouldn’t be in Philly if there weren’t a pretzel shop nearby. 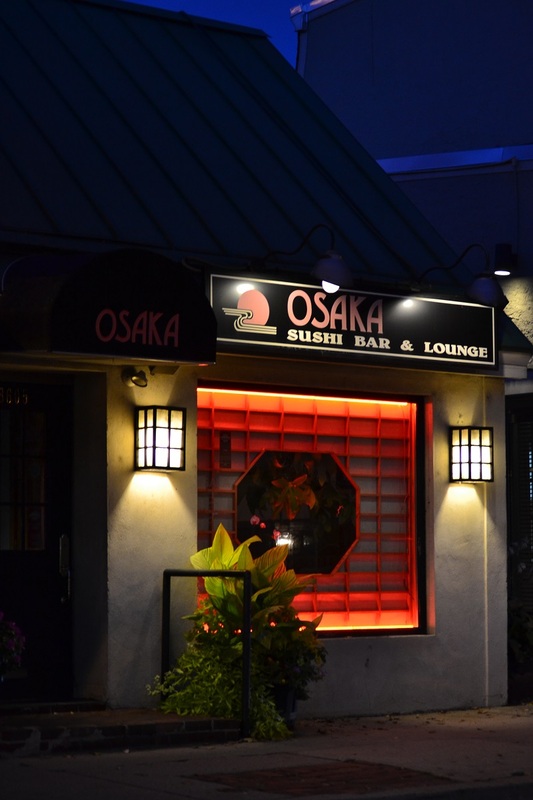 Chestnut Hill is no exception. At the top of the hill, one finds several coffee shops. 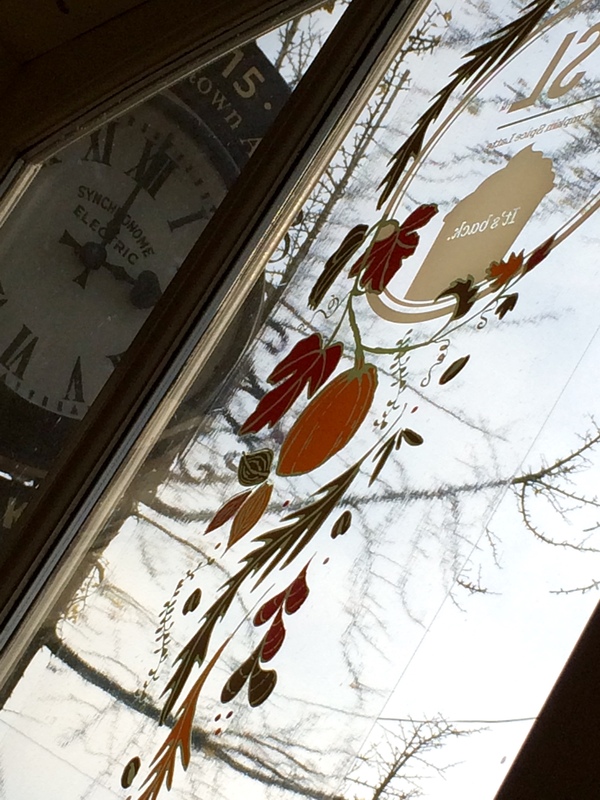 Here is the view of a clock face as seen from a sunny front corner nook inside the neighborhood Starbucks. 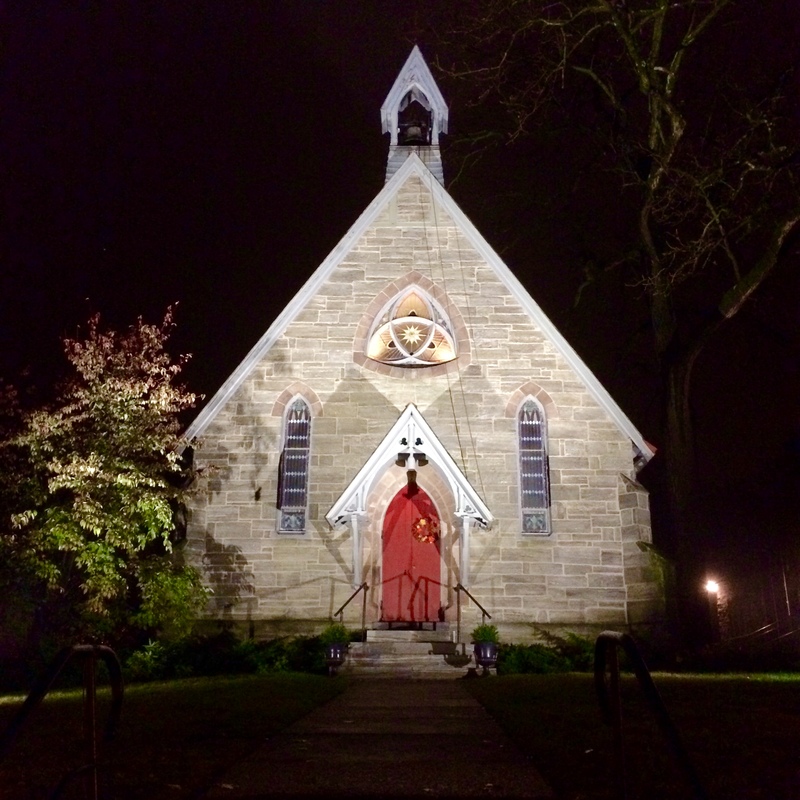 Christ Ascension Lutheran Church, as viewed from Germantown Avenue at night, looks like something straight out of a storybook. Last but not least, I leave you with a photo taken a few months ago at the Chestnut Hill Street Fair. The woman running the booth wears a smile that says it all: we’re happy to be here in Chestnut Hill. Thanks, Miss Rose! Right back atcha. You are soooo lucky to be now called a “Chestnut Hill” resident, Gina! I’ve always loved walking through this particular neighborhood, and it’s one of the things about moving across to NJ that I miss the most. Your photo-essay is brilliant. I feel as though I’ve never left visiting the area, even though admittedly, it’s been a looong time! Such innate talent you have – I hope you never stop photographing our beautiful city. 🙂 P.S. I love your retail-shop selfie!! Thanks, Patricia. I’m really enjoying the new ‘hood. 🙂 I appreciate your kind words.